Reading- Reading at Camarena may look very different from what your child has experienced in the past. 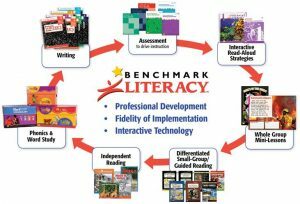 Our school district has adopted a literacy program by Benchmark Universe to emphasize close reading and meta-cognition skills through high interest content. Stories will range from career topics, to ancient civilizations, to engaging literature. Common Core reading, writing, language, and speaking & listening standards will be assessed using this program, as well as other methods. Rather than focus on reading to attain “points” or pass computer tests, classes at Camarena will emphasize choice, variety, and peer discussion & collaboration. Students will be expected to read independently at least 40 minutes a night. Mrs. Hughes will conference with students to follow them along their reading journey. Although a student may enjoy reading humorous books or fantasy, we would challenge him try other genres in the course of the school year. This will expose the child to other genres and give opportunities for discussion and reflection, both verbally with his peers and teacher. Reflections will then transfer into his/her choice as a published work (ie. written summaries in a journal or blog, video review, online poster, animation, etc.) These kinds of performance assessments will be the heart of determining reading comprehension for the student.